A tenancy agreement is a legal contract between a landlord and a tenant. It is a written document that is signed by both parties before the commencement of a tenancy. Most tenancy agreements will be in the form of an Assured Shorthold Tenancy. The tenancy begins on or after 15 January 1989. The property is the tenants’ main accommodation. 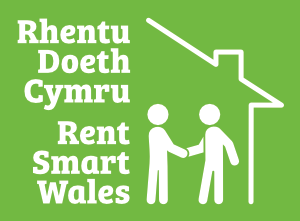 The tenant is renting through a private landlord not a housing association or local council. Once a tenant agreement form has been signed, it is legally binding and can only be legally terminated early if both parties agree to it, otherwise the tenancy can only be terminated as set out in the agreement or as per Housing Act 1988. The tenancy agreement must be for a minimum of 6 months and can be renewed for a new fixed term or left to go on a rolling periodic tenancy, meaning a month-to-month basis. The length of notice which the tenant must give if they wish to end the tenancy prior to the end of the contract. You are obligated to give the landlord no less than one month’s notice to quit the contract unless you are vacating at the end of the fixed term already agreed. Although it is requested that if this is the intention then you should try to give as much notice as possible once the decision to vacate the property has been made. It is your duty to look after the property. This means reporting maintenance issues as soon as they are identified, airing the property regularly to allow natural moisture in the air to move which will minimise condensation issue. You also must maintain a minimum heating setting during cold periods to prevent water pipes from freezing over. By meeting these obligations you will uphold your part of the agreement, therefore guaranteeing yourself a pleasant tenancy. There are a number of exceptions, but generally speaking, you must give the tenant no less than two months’ notice to vacate the property unless there is a breach of the terms set out in the contract by the tenant. All tenancy agreements outline the duty your tenants have to look after the property - therefore you can rest assured that your investment is protected. Best of all, you needn’t worry about having to write up your agreement; we take care of it for you. All you need to do is make sure that you fully understand what is expected of you and make sure there is nothing listed in the contract that you haven’t already agreed to.